You're the team manager, and you're leaving training - when suddenly one of the parents hands you $20. That's great, because you're pretty sure they owed $25 but that's all they have. How would you record that in teamstuff? Easily is the answer. Here's what to do. Jump into your app, and look under Collect Payment on the left hand navigation menu. Here, you'll see all the payments in process, or historical records of completed ones. Since this one is still in process, it will be pretty obvious. 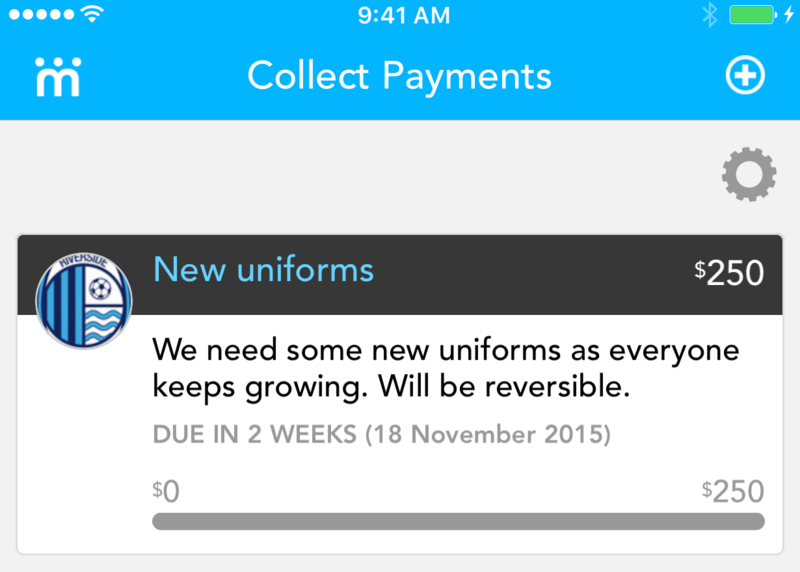 In the example above, I can see the summary of the collection for 'New uniforms'. No one has paid anything yet. So you really want to record that $20. And you might just notice that ENORMOUS green button. Hit it to provide a record of someone paying you in cash. So the first step is who is paying you. Notice we list by team member ( player ) rather than by parent. That's way too confusing if you had to remember all the parents in the team too! Anyway - scroll left and right as needed - in this case it was Sam's Mum who paid the $20. So I click on Sam to record the payment. Now teamstuff will straight away default the payment value to the full outstanding value. Most of the time that will be true. But in this case, I need to record a lower amount. So just touch the amount figure - and suddenly it pops into edit mode. So now - all I need to do is touch the green button. And BOOM! You've recorded the $20 payment in about 1/10th the time it took to read this article. Nice.